NNTN4190A: 4.8v NiMH battery for Motorola radios CP100 XV1100 XU2600 etc. 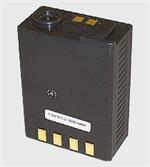 NNTN4190A: 4.8v NiMH battery for Motorola radios. Fits CP100, XV1100, XV2100, XV2600, XU1100, XU2100, XU2600, etc. 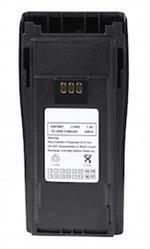 NLN5860: 7.5 volt 1800mAh rechargeable Ni-Cd battery pack for Motorola MX-320 radios. NNTN6944: 7.4volt 630mAh rechargeable Li-ION battery for Motorola XTS 4000 radios. 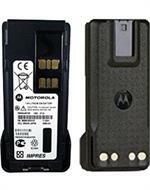 NNTN7038: Motorola brand 7.4 volt 2900mAh rechargeable Li-ION IMPRES Battery. FITS Motorola APX6000, APX 6000EX APX7000, APX7000XE, APX8000 SRX2200 radios. 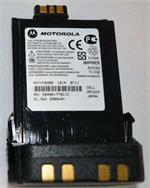 PMNN4409AR: Motorola-brand IPMRES 7.4 volt 2250mAh Li-ION battery - fits MotoTRBO XPR7000. 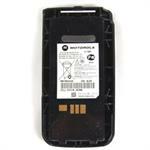 Replaces with Motorola PMNN4409, PMNN4409AR, PMNN4412, PMNN4448, PMNN4407 batteries. HNN4497: 7.5volt 2200mAh Li-ION battery for Motorola CP100, PR400 etc. HNN4497: 7.5 volt 2200mAh high-capacity Li-ION battery for Motorola CP100, CP150, CP200, EP450, PR400 radios etc. Replaces original battery part #s NNTN4497, NNTN4970, NTN4497, NTN4970, etc.